It’s estimated that 75,000-100,000 people in the United States have scleroderma, which makes it a rare disease. Although scleroderma can affect anyone at any age, it’s most common in women between the ages of 30 and 50. Amer Al-Khoudari, MD, FACR, at Arizona Arthritis Clinic, PLLC, has extensive experience working with adults to manage their scleroderma and prevent progressive organ problems. To schedule an appointment, call the office in Chandler, Arizona, or use the online booking tool. Scleroderma is an autoimmune disease, which means that your immune system attacks healthy and essential tissues as though they are harmful. In the process, inflammation and scarring occur. When you have scleroderma, connective tissues are affected, leading to an overproduction of collagen. This condition most often develops in your skin, but it can progressively worsen to involve any part of your body, including your lungs, kidneys, heart, and intestines. This type primarily occurs in your skin but can spread to connective tissues and muscles below the skin. Localized scleroderma is more common in children than adults. However, it can develop any time between the ages of 20-50. Systemic sclerosis is a more serious type of scleroderma. In addition to affecting your skin, it can develop in your joints, muscles, blood vessels, lungs, kidneys, heart, and other organs. What symptoms develop due to scleroderma? The primary symptoms of scleroderma are tight, thickened skin and inflammation and scarring of organs and connective tissues. In localized scleroderma, you may develop lines of thickened skin on your arms and legs or discolored patches of skin. One of the earliest signs of scleroderma is Raynaud’s phenomenon, in which small arteries in your fingers and toes respond to cold temperatures with such excessive tightening that they cut off your blood supply. Although research into new treatments continues, no medications currently exist to treat or cure scleroderma. That means your treatment is designed to relieve your specific symptoms. For example, Raynaud’s phenomenon improves with medications that open narrowed blood vessels. 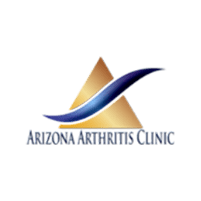 If you develop areas of thick, tight skin, or you notice your fingers change color in the cold, call Arizona Arthritis Clinic or book an appointment online.